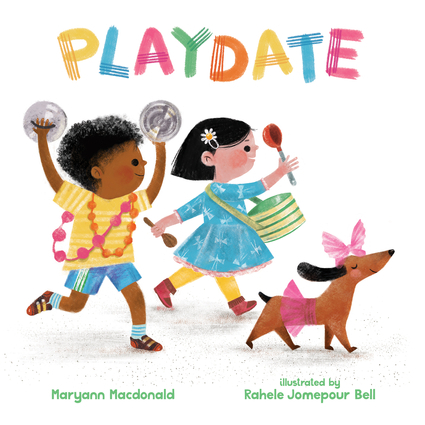 It's time for a playdate! Maryann Macdonald is the author of 25 books for children including The Christmas Cat, How to Hug, and The Pink Party. She and her husband live in New York City. Rahele Jomepour Bell has an MFA in Integrated Visual Arts from Iowa State University and lives and works in Ames, Iowa. She is a recipient of the 2018 Illustration Mentorship from We Need Diverse Books.